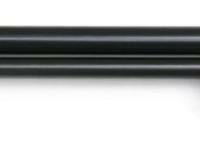 Enjoy a high-quality underlever air rifle and still have some change in your pocket. 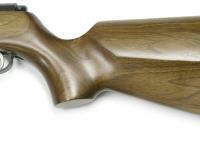 You'll be amazed at the attention to detail on this modestly priced rifle! For instance, it has dual wiper rings on the compression piston, a coned breech seal, a polished compression chamber, a machined (not stamped) cocking arm, a spring-rotation bearing surface, a tightly fitted steel spring guide and a two-stage adjustable trigger. 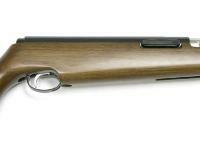 The stock is fashioned from walnut-stained hardwood and includes a high Monte-Carlo buttstock, a raised cheekpiece and a rubber recoil pad. 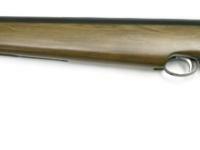 If you enjoy field target, the B40 would make a dandy rifle for that sport. It doesn't have open sights, so remember to pick up a scope, too. Things I would have changed: Quality of the internal parts ...... It's OK provided your shooting program is fairly minimal. (a few pellets every now and then) Part of one of the seals spat out and something went clunk inside. What others should know: My B40 failed terminally after about 2000 rounds. It went into the service agent's pile of B40's to send back to China. Fortunately it was still under warranty so next time I'll choose better and just pay more for quality. Things I liked: the fit and finish on my gun were great..no flaws or wood filler that i can see...i guess i got lucky.this is a beatiful rifle..the pics dont due it justice.no plastic. What others should know: i did have one issue with the ball detent poping out allong with the spring one time..reinstalled and have not had anymore issues as of yet.this gun is pretty quiet.so far as with all my guns it seems to like jsb exact in 15.9g the best although im not done testing yet thats why i gave 4 stars for accuracy...so far its exceeded my demands and seems to be getting better with use.i also have had no issues with poor pellet loading as some others have had.as far as performance goes it rivals the tx200..just my 2 cents. Things I would have changed: The cocking lever ball lock catch on this gun needs QC attention. The ball and spring popped out for the ball fit in its housing was not sufficiently tight. Another QC matter I encountered was with the seal that closes on the breech was cut damaged and not a good fit. These two problem areas are relatively minor failures easily corrected by replacement of a couple of small parts..
What others should know: This air rifle has been improved so much that it is a pride to own. 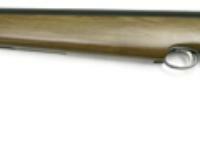 It is a beautiful rifle and a good shooter. While the rifle is a little heavy, that likely is a plus for stability when firing. I find nothing cheap or sub-standard about this rifle.